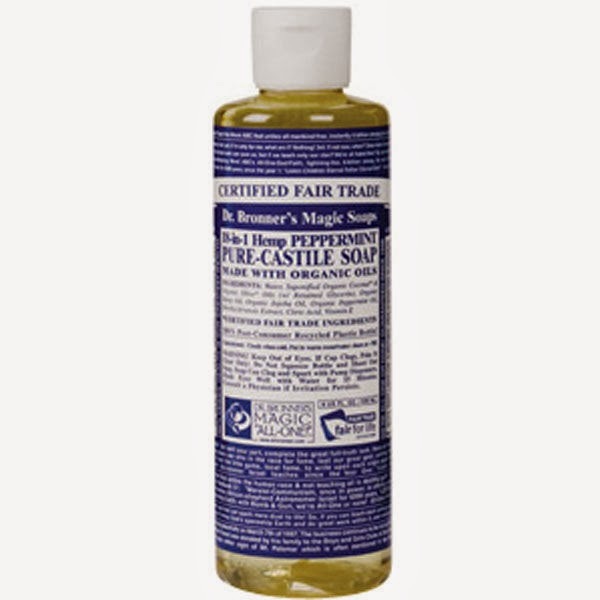 Today's review is of a beauty blogger favourite, Dr Bronner's Magic Liquid Soap. Why is it "magic"? This handy liquid soap is wonderfully versatile, boasting 18 different uses. It can be used for shaving, as a shampoo, shower gel, vegetable rinse, household cleaner, makeup brush cleaner- the list goes on! I love the packaging which looks like something you'd find in a chic New York apothecary. Aside from being aesthetically pleasing, the packaging is also functional with a flip top dispenser. I liked that I could see how much was remaining. There are nine scents to choose from: tea tree, green tea, almond, rose, lavender, peppermint, citrus, eucalyptus and baby mild. I opted for the Peppermint scent which had a slight sweetness. I found it to be refreshing and ideal for use as a shower gel in the mornings (& the morning after!). Apparently, the peppermint version can even be used in place of toothpaste or mouthwash, although I wasn't brave enough to put this to the test! It has a very liquid formula and doesn't give the richest lather, although it can be worked into a relatively generous foam considering that it's SLS free and this is owing to the high content of coconut oil. Thanks to the base of organic extra virgin coconut, olive, jojoba and hemp oils (it's this vegetable base- as opposed to traditional animal fat based soap- that gives the soap it's Castile name), my skin was never left feeling dry or stripped, although it's worth nothing there was no residue left on my skin either. I was impressed at how clean my skin was left feeling following use. Those who are eco conscious will also be pleased to note that it's biodegradable. Despite boasting an impressive 18 uses, I've only used Dr. Bronner's Magic Soap as a shower wash because I've enjoyed it so much that I've been reluctant to remove it from my shower. It has an affordable price tag and I'd definitely repurchase it. I'm also keen to try out some of the other scents & uses.